Home News A new ‘progressive’ multi-day festival appears on the horizon in the Netherlands: Prognosis Festival! A new ‘progressive’ multi-day festival appears on the horizon in the Netherlands: Prognosis Festival! A new ‘progressive’ multi-day festival appears on the horizon; Prognosis Festival. Prognosis is all about innovation and Eindhoven is the perfect location for it with its art- and industrial innovative touch. Besides a strong lineup there will be a lot to do and see in the centre of the city. The music festival will be the heart of it, but there is much more to do and see for the real music lovers. On different locations there will be book readings and clinics by international performing artists, art galleries with the best cover art in the scene, loads of unique merchandise and gatherings for those who want to know it all. Prognosis brings more than just music! The first names from the line-up are presented below. But this is not all, they soon will present additional names for the Prognosis Festival so make sure to follow the festival online. Haken, a band from London, formed in 2007 with a recognizable sound that combines prog-metal with the sound of the 70’s giants like Genesis and Kansas and more contemporary bands like Porcupine Tree and Opeth. On their third album they added influences from Queen and Led Zeppelin. The band became more recognizable and appreciated by the general public with their fifth and most successful album ‘Affinity’. Their the sixth album ‘Vector‘ will be released in 2018. Both on record and stage the band knows how to impress. Do not miss this band at the festival! The band Witchcraft was formed the year 2000 when they came together for the first time to record a tribute to Pentagram. This tribute was a success and formed a bond between the band members; Witchcraft was born. It then took another 4 years for the first album ‘Witchcraft‘ to see the light. Since this album the band is known for its heavy sound that can be defined as a crossover between Black Sabbath and Pentagram with influences from Leaf Houd, Captain Beyond and Comus. 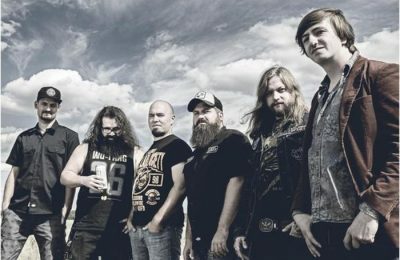 In May 2012, the band announced that they had signed with Nuclear Blast Records. Their fourth, and best known, studio album, ‘Legend’, was released in September 2012. In 2016 they released their latest and most progressive album ‘Nucleus’. Comprised of former members of Death, Opeth and Willowtree, Soen is something of a prog-metal supergroup. 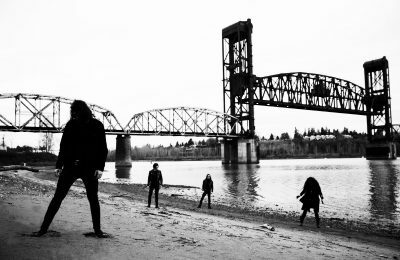 The band was formed in 2010, but the first album ‘Cognitive’ did not arrive until 2012. The album was mixed by David Bottrill (Tool, Coheed and Cambria, Silverchair, Smashing Pumpkins, Muse, etc.). The collaboration with Bottrill was a success and was continued on the second album. 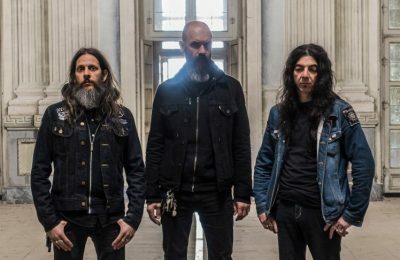 Their latest and third album ‘Lykaia’ was released in 2016. 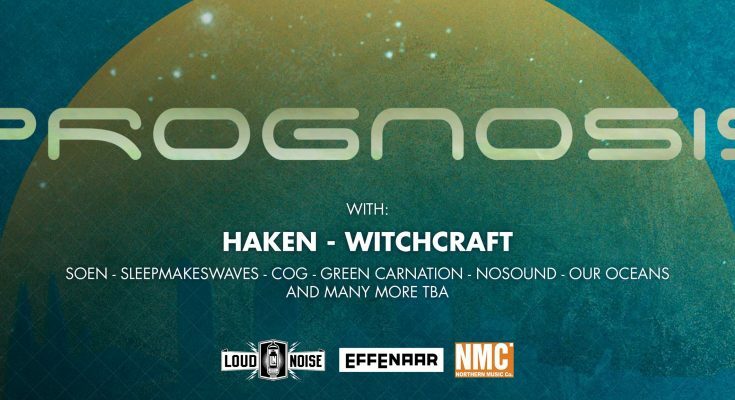 We are honored to have Soen at Prognosis Festival. Cog is an Australian progressive rock band, founded in 1998. The debut album ‘The New Normal’ was nominated for various prizes. The music is strongly influenced by the styles of Brett Student, Tool, Isis, Nina Simone, Bob Marley, Leftfield, Deftones and Helmet. The band has a very distinctive sound and became one of the most successful independent prog bands from Australia over the years. The band was formed in 1990 and has released 6 studio albums. A real prog band, but certainly not afraid to experiment. The band has known good and bad times. After a period of silence, the bands have been together again since 2014. There is a new album to come, but the exact date is not yet known. At Prognosis Festival we hope to hear some of their new work. Nosound was founded in 2002 in Rome. The music of Nosound is a mix of progressive rock and ambient. Some find the style similar to that of the British band no-man. The compositions consist of slowly melting melancholy melodies, often embedded in the sounds of various key instruments. Graceful vocal melodies intertwined with dreamy guitar tones. Lyrical fretless bass lines dancing amongst washes of cymbals and clouds of percussion. Our Oceans laces classic singer/songwriter influences with modern, progressive elements. Weaving mindful musicianship and introspective lyrics into an otherworldly and deeply melancholic musical universe. 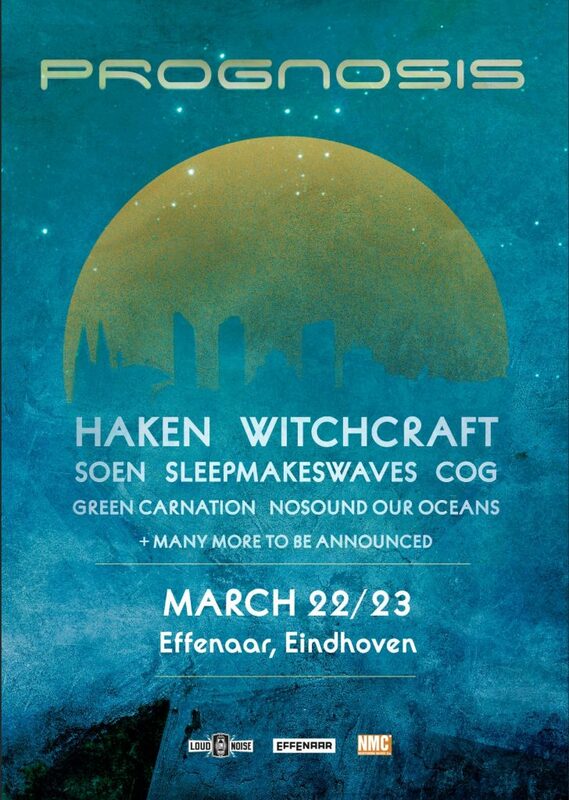 Our Oceans is a band formed in The Netherlands and even though the band was formed in 2014 they have not yet performed live at stage. So this will be their maiden performance. The above names will make this first edition of the Prognosis Festival memorable. But there is more to come. We will complete the line-up soon and inform you more about the extra program in the city.